The TelePro/SSE hydraulic mill stand controller performs Level 1 device control of the hydraulic cylinders associated with work roll gap positioning, roll bending, and backup roll balancing in rolling mills. A mill stand state machine manages coordination and sequencing of the individual actuator systems, as well as transitions between operating states. Hydraulic cylinders for changing the work roll gap are located in either the top or bottom of the mill stand. The HGC control performs closed loop position and pressure regulation of the gap cylinders, depending on the operating mode selected. During the mill setup sequence, preset position and roll separating force references are received from an external Level 2 mill setup system or from an operator data entry interface. During rolling, reference modifiers for position and force are received from the Level 2 controls. These modifiers include the average and differential position/force offsets for automatic gauge control (AGC), interstand tension control (ITC), and automatic flatness control (AFC). Operator manual references for average and differential offsets are added at Level 1. Additional reference position and force offsets are received from an external roll eccentricity compensation (ECC) system. Due to the update speed required for ECC (1 millisecond scan), the ECC reference offsets may be acquired through hardwired analog inputs. Independent position or force regulation loops are implemented for the operator and drive side cylinders, depending on HGC operating mode. A supervisory differential position or force loop maintains the desired offset between the operator and drive sides, correcting errors caused by differences in dynamic response between the sides. If excessive differential force is detected, the HGC control is placed in Fault mode and further movement is prohibited. When position regulation mode is active, force regulation is suspended and vice-versa. A bumpless transition mechanism between position and force modes is provided. Position feedback is provided by Sony Magnescale transducers. Each cylinder is typically fitted with two position transducers, one on the inside and one on the outside of the cylinder, each with separate signal conditioners. If there is no transducer fault, the inside and outside transducer signals are averaged for each cylinder to produce the position feedback value. If one of the transducers is faulted, the other is used alone. If both transducers are faulted, the HGC control is placed in the Fault mode and further movement is prohibited. The HGC operating mode is generally selected automatically by the state of the mill stand. The mill operator does not typically select the operating mode. The Fault Mode is entered on intial system startup. Hydraulic cylinders acting on the work roll chocks provide positive and negative roll bending. Depending on the mill stand configuration, intermediate rolls with associated bending cylinders acting on their chocks may also be installed. The bending cylinders also provide the roll balancing forces required to maintain a gap between the work rolls when there is no separating force. The WRB/IRB control performs closed loop pressure regulation of the bending cylinders. During the mill setup sequence, preset pressure references for the bending cylinders are received from the Level 2 mill setup system or from an operator data entry interface. During rolling, a reference modifier for each bending system is received from the Level 2 automatic sheet flatness control (AFC). The operator manual reference offsets are added at Level 1. Fixed roll balancing references are applied when there is no roll force on the stand. There may be several such references, depending on whether the roll stack is being balanced, raised, or lowered. In addition, there is a fixed bending reference applied during the mill gap calibration sequence. In pressure regulation mode, a single pressure regulation loop is generally implemented for each roll bending system. However, depending on the mechanical roll stack configuration, independent operator and drive side regulation loops may be implemented. The WRB/IRB operating mode is generally selected automatically by the state of the mill stand. The mill operator does not typically select the operating mode. The Fault Mode is entered on intial system startup. Balancing cylinders act on the backup roll chocks to balance the weight of the rolls and to allow them to be raised or lowered as necessary. The BRB control performs closed loop pressure regulation of the balancing cylinders. During the mill setup sequence, a preset pressure reference for the BRB cylinders is received from the Level 2 mill setup system or from an operator data entry interface. No reference modifiers are required. Additional fixed balancing references are generated at Level 1. These depend on whether the top backup roll is being raised or lowered during roll changing. In addition, there is a fixed balancing reference applied during the mill gap calibration sequence. In pressure regulation mode, a single pressure regulation loop is implemented for all active cylinders in the backup roll balancing system. The BRB operating mode is generally selected automatically by the state of the mill stand. Except for "Raise" and "Lower", the mill operator does not typically select the operating mode. The Fault Mode is entered on initial system startup. Coordination of the various Level 1 automation systems is performed by a mill stand state machine. A set of specific mill stand operating states and permissible transitions between states is defined. For each of these states, the individual mill stand device controllers have prescribed operating modes and/or sequences. 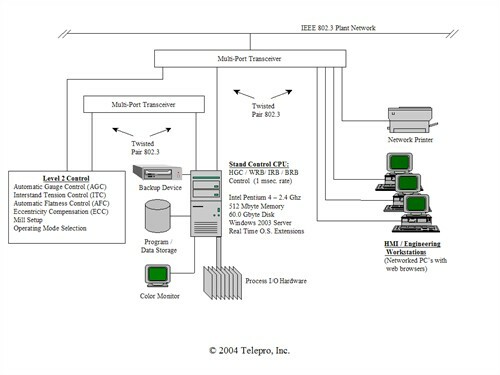 System coordination consists of selecting the desired mill stand operating state, which in turn triggers the appropriate operating mode selection for each individual system controller. Requests for transitions between mill operating states are received from the operator and from automatic sequences. The latest request for which all permissives are satisfied determines the mill state. Entered in response to a strip break, emergency stop request, or other stand fault event. Hydraulic systems are controlled to hold the roll gap position constant until the mill is stopped. When the mill is stopped, HGC pressure is vented. Hydraulic systems are controlled to known states. Manual references are used for test manipulation of individual systems. The roll stack is configured to permit installation and removal of rolls. The relationship between HGC cylinder position and roll separating force is determined by pressing the work rolls together and recording the HGC positions required to reach a series of calibration target forces. The HGC position corresponding to the datum gap zero is determined by pressing the work rolls together until a defined roll separating force is reached. The corresponding HGC position encoder pulse counts are stored to capture the datum point. The mill stand is ready for rolling. The hydraulic mill stand controller is a stand-alone system. The computing platform is the TelePro Tsentry product. It consists of an off-the-shelf Intel Pentium-class PC running the Windows 2003 Server operating system with VenturCom RTX real time extensions. This system comes complete with all facilities required to support deterministic real-time program repetition rates as fast as 1 millisecond. 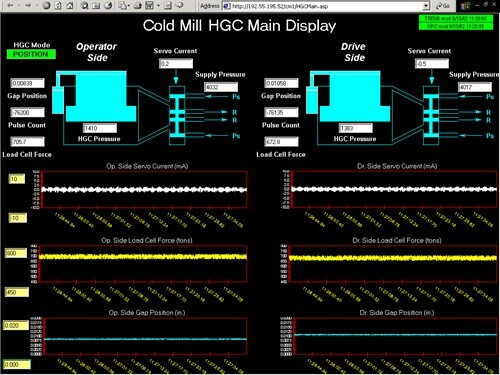 In addition to performing mill stand control, the system includes both real-time and historical trending. Tsentry also provides a general-purpose real-time computing platform that includes all facilities and libraries required to allow the end user to develop and implement custom process monitoring, control, signal processing, and human-machine interface (HMI) applications. This system interfaces to several varieties of commercially available process I/O hardware and is capable of performing all process control and human-machine interface functions required for mill control. It was developed specifically as a high-speed real-time process control system platform. Discrete control devices (pushbuttons, pistol grips, etc.) are provided as needed for machine-side control panels and operator desks located on the production floor. 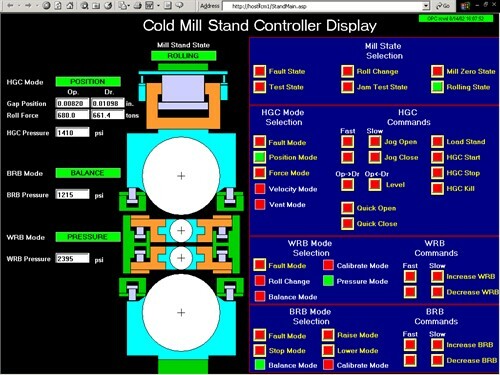 The system includes a complete set of operating and maintenance support HMI displays. These include graphical controller monitoring and tuning displays showing controller functional block diagrams with current values of inputs, outputs, internal variables, and activation logic, updated in real time on the screen. These displays, along with the Tsentry real-time/historical data trend facility, provide engineering and maintenance personnel with the necessary information to diagnose the condition of key process control functions. They also permit authorized personnel to modify system tuning and configuration parameters on line. Operating and maintenance support displays are implemented as standard Internet web pages hosted by the Tsentry system. 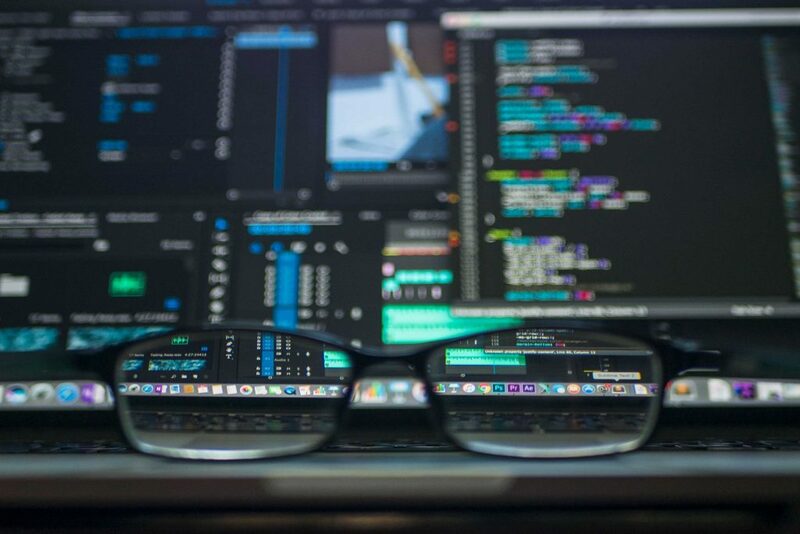 Any network-connected PC workstation with a standard web browser and proper security credentials can be used as an HMI client. This permits any HMI display to be accessed from any workstation within the production complex. Examples of the maintenance support displays are shown in Figures 2 and 3. Figure 2 shows the top-level stand controller overview display. Manual mill state and individual controller mode selections, as well as manual setpoint offsets can be made from this screen. Operator inputs are duplicated using discrete control devices at the main operator's desk and at machine-side control panels. Figure 3 shows the main HGC cylinder control monitoring display with critical control variables displayed in both tabular and graphical format. The Tsentry computing platform provides a real-time/historical data trend facility which supports Internet web page based editing and display of process variables. Data may be displayed and edited from a browser run on the system console or on any network-connected Windows workstation. Both graphical and tabular data displays are provided. Real-time trend data acquisition. Data is acquired at a 1-millisecond rate (1000 samples per second per point) and made available for display on networked HMI/maintenance support workstations. Examples of the Probe, ProbeA, and TrendX screens are shown in the Figures 4 through 6. This system consists of standard TelePro/SSE rolling process control technology tailored to the specific needs of each customer. The use of proven automation products improves system reliability and reduces the time required for engineering, development, installation and commissioning. These standard products are customized for each application in the areas of: system sequencing, operator interface requirements, maintenance and diagnostic support tools, and mill-specific equipment interfaces. The use of standard, open-architecture system components allows for configuration flexibility and eliminates special-purpose hardware/software.